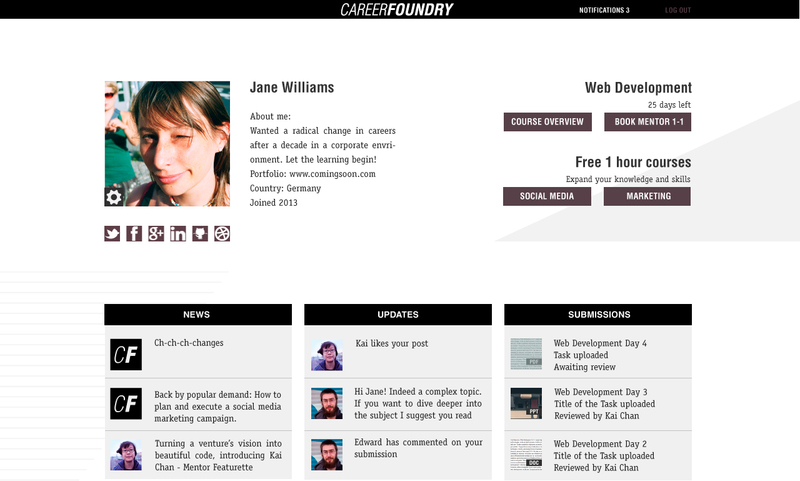 Berlin-based startup CareerFoundry has launched its mentor-driven “zero-to-job-ready” vocational training platform for those who aspire for a career in tech. The startup’s offer consists of a 3-month long program, during which students are paired with mentors from the relevant industry who help them in the course of their studies. The project, known earlier as DoBranch, has started off with two programs offering students the chance to learn Ruby on Rails and UX design, with iOS software development, marketing and another as-yet unrevealed discipline in the pipeline. The cost for each is €300 ($413) per month, which means the full course costs €900 ($1,240). Programs don’t have fixed deadlines, as students can enroll and start learning at any time. 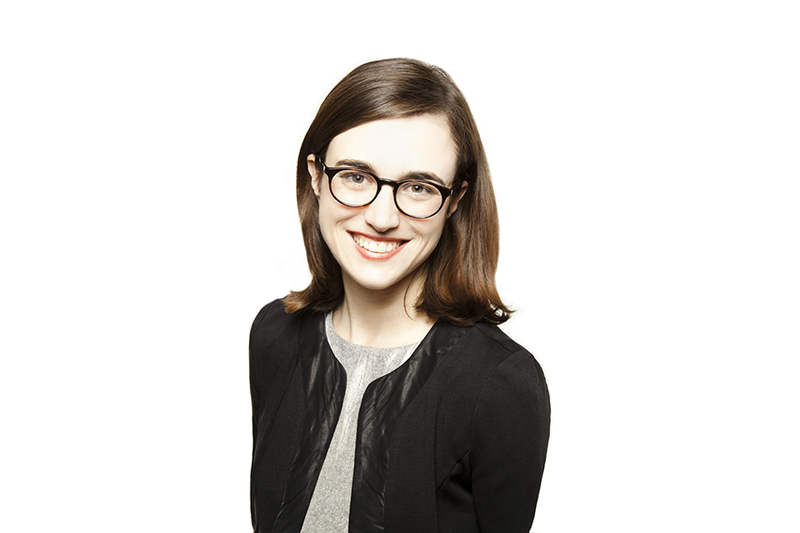 “We did a lot of research with job boards, and Ruby on Rails and UX design are the areas with the highest job demand in the whole digital economy, and the lowest level of people who have these skills,” explained CareerFoundry CEO Raffaela Rein. As noted in the press release, CareerFoundry, which raised €250,000 from German investor Stefan Glaenzer, is supposed to “defy the MOOCs trend and bring the personal touch back to online learning.” Surprised by such a bold claim, I sat down (on Skype) with Rein to see how exactly CareerFoundry’s model is better or more efficient than other forms of learning. Massive courses with massive problems? The traditionally conservative field of education has seen quite a bit of disruption in recent years. Arguably the most significant attempt to bring tech innovation into the field was the introduction of massive online open courses, usually referred to as MOOCs. Think of Coursera, Udacity, edX and many others — these have gained quite a bit of popularity of late. With hundreds of thousands users signing up to learn about everything from basic mathematics to rocket science, MOOCs seemed to be the solution of every problem the world education system ever had, be it high prices or little accessibility beyond developed countries. However it seems now like education is not as easy to disrupt as some may think. In a recent interview, Udacity’s Sebastian Thrun, pioneer and avid advocate of MOOCs, has shown that not everything is going as smooth as it was supposed to in the world of free massive online learning. The biggest problem faced by MOOCs is their awfully low retention rate — according to Thrun, no more than 10 percent of Udacity’s students would make it to an end of the class, and only about a half of those would actually receive a passing grade. CareerFoundry’s Rein agrees that MOOCs’ breed of largely unsupervised learning is fundamentally flawed. “There’s a lot of studies that show that if you just learn and […] there’s no one to correct your learning, then the outcome is not half as good as if there is,” she says. To resolve the issue, the startup has hired 50 mentors across the globe who are ready to accompany students through the courses (which are also put together by mentors). Each mentor is being paid by CareerFoundry and can supervise up to five students at a time. In weekly one-on-one online meetings, mentors give students feedback on their homework, which is 100 percent practical and consists of developing a fully functional website (or its UX). 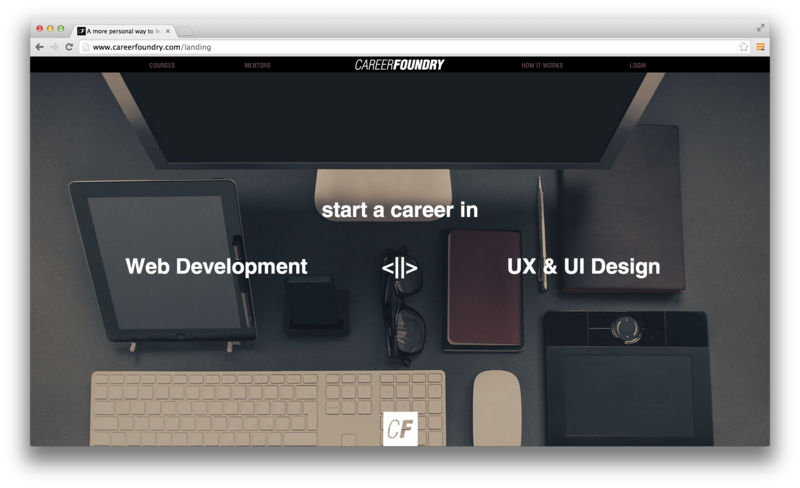 Probably the most controversial claim that CareerFoundry is built around is that anyone with desire can get ready to take a junior programming or UX design position in just three months, even if he or she had no previous experience and/or education in the field. Going further, Rein expresses an opinion that in respective areas vocational education programs like those offered by the startup can successfully replace not only MOOCs, but also traditional universities. “I’ve been in management positions for the last five years, I’ve started three companies for Rocket Internet and one company here in Germany for Axel Springer,” Rein says. “Altogether I must’ve hired about 50 people or more; especially in web development, unless you come from maybe Stanford, it really does not matter which university you come from or what degree you have. It’s a dangerous sign for a startup to say that it has no competitors, but that’s exactly what Rein told me in the interview. “There’s surprisingly no vocational digital education online. Nothing. Even though the field is booming like crazy, and in fact the digital economy has the highest job growth of all industries. It’s not hard to see though that CareerFoundry is not the only company trying to occupy the niche that MOOCs couldn’t fit into. For example, the aforementioned Udacity is already offering paid versions of its courses, which have improved in exactly the way Rein was talking about. For about $150 per month, the MOOC offers among other things “personal guidance” from a pool of coaches available for chat every day. That being said, it’s easy to predict that the field of online education programs with a “personal touch” is about to get quite crowded, and startups moving there now should expect to compete not only with each other, but with much bigger and more experienced players. It’s also a good sign for those willing to learn — if you wanted to change or boost your career, today seems to be a great time to start.